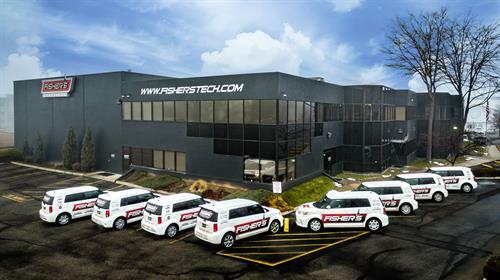 Fisher’s is Idaho’s provider of technology to help businesses perform at the top of their game. Fisher’s mission is to make customers extremely happy while having a great time. They manage IT environments (servers, cloud environments, network equipment, computers, mobile devices, and applications), sell and service office equipment (from Canon, Konica Minolta, Ricoh, HP, and many others), and streamline business operations with electronic document management and related software solutions. Fisher's is your local experts of everything office technology with personality! Fisher's at Best Places to Work Idaho. Fisher's hosts lunch seminars in which Chris Taylor, our CEO explains the concepts, models, and tools that Fisher’s has leveraged to quickly quadruple the size of the 82-year-old company.